Google Earth has recently posted GeoEye satellite imagery taken on February 2, 2010 showing the Chashma nuclear site in Pakistan (32.38858, 71.44955). The previous image of Chashma available on Google Earth is from August 18, 2007. The new imagery shows both the Chasnupp1 1 and 2 reactors, as well as a new clearing that could be intended for the construction of administrative buildings (see figure 1). Construction work on the Chasnupp 2 reactor has progressed with a completed stack, a nearly completed row of cooling towers and a roof placed on top of the reactor and associated buildings (see figure 2 and 3). China assisted Pakistan in building the Chasnupp 1 and 2 reactors. The Chasnupp 1 reactor is already operational, and the Chasnupp 2 reactor is under construction. China and Pakistan are seeking to cooperate on the construction of a third and fourth reactor at the Chashma site. The US has stated that China should provide further details regarding this nuclear cooperation with Pakistan at the Chashma site and that the deal requires approval from the Nuclear Suppliers Group (NSG). Figure 1. 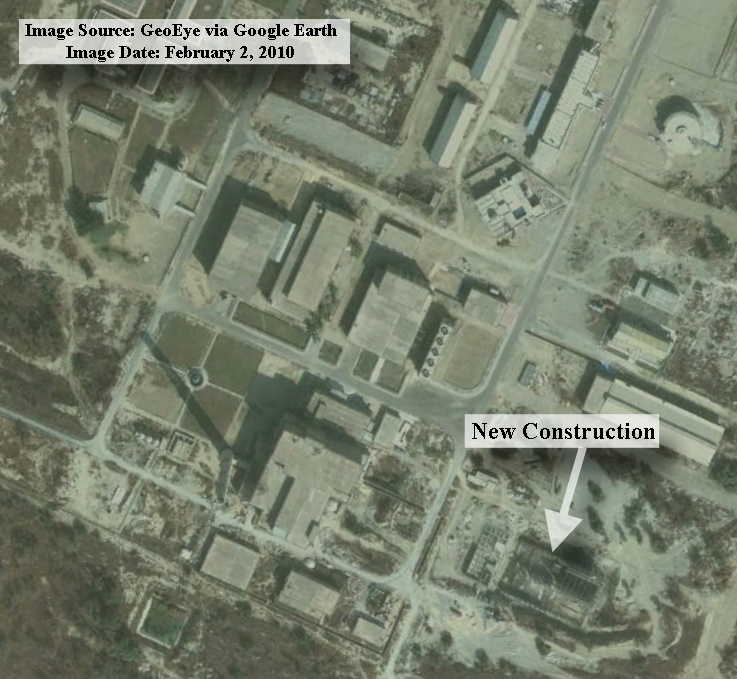 February 2, 2010 GeoEye imagery on Google Earth showing an overview of the Chashma nuclear site in Pakistan. The Chasnupp reactors can be seen in the northeast corner. There appears to be a new clearing off to the west, likely intended for construction of administrative buildings. 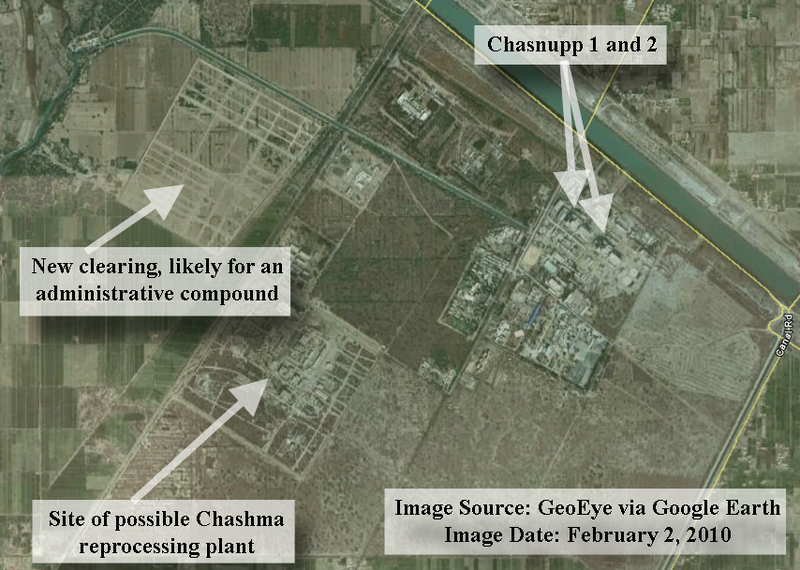 The compound in the southwest corner of the site contains what ISIS has speculated may be the previously abandoned Chashma reprocessing facility. Figure 2. 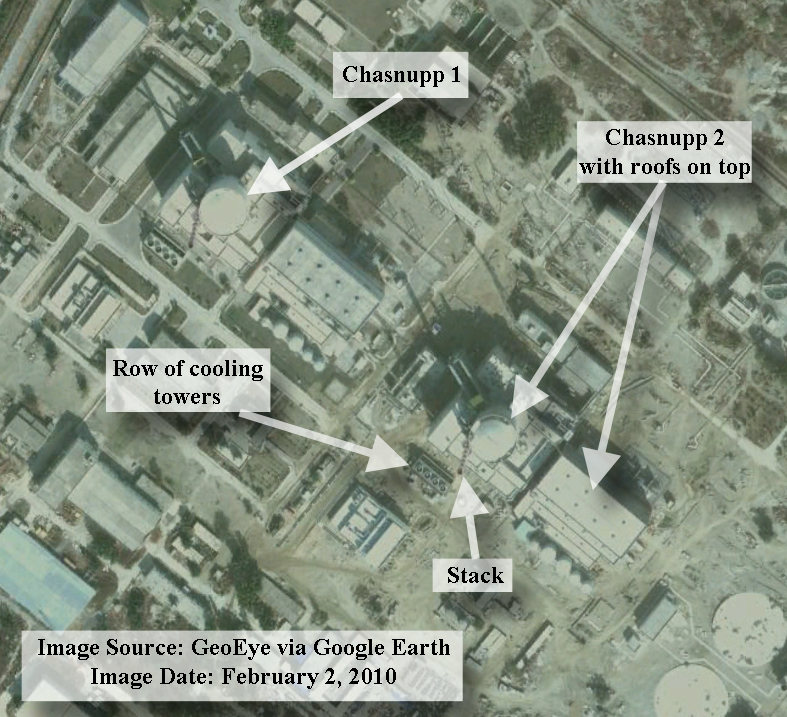 GeoEye image from August 18, 2007 showing Chasnupp reactors 1 and 2. Figure 3. 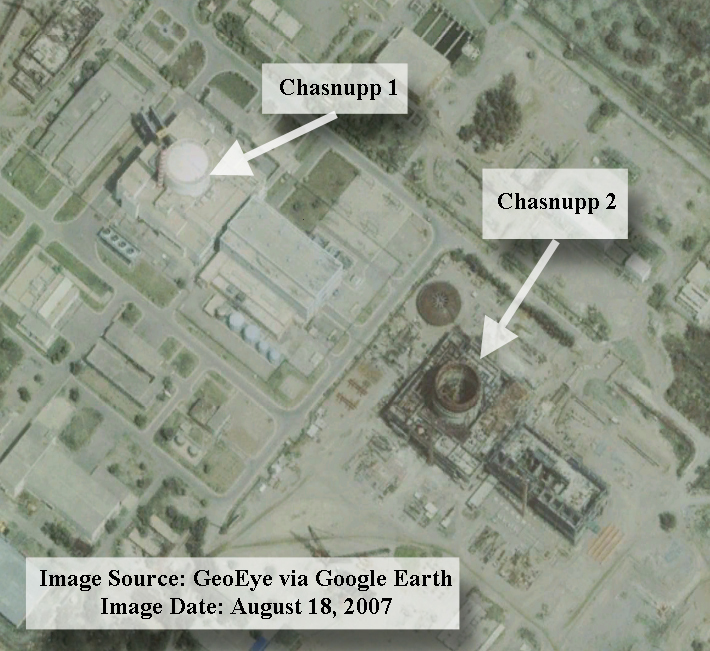 February 2, 2010 GeoEye image of Chashma site showing Chasnupp reactors 1 and 2. The roofs are placed on top of the Chasnupp 2 reactor. The Chasnupp 2 stack appears complete and its row of cooling towers appears close to finished.